Located just 21 miles out of Nashville, Franklin is known for its vibrant music scene, lively festivals, and historic main street. It is the seventh largest city in Tennessee with a population of nearly 70,000 people. Franklin is home to a handful of prestigious universities, several large corporations, and some prominent entertainment venues. 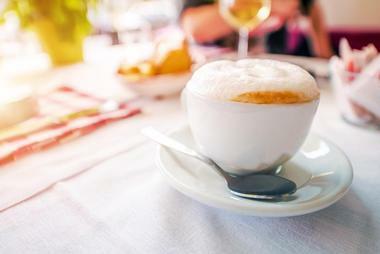 Here are the best things to do in Franklin, TN. 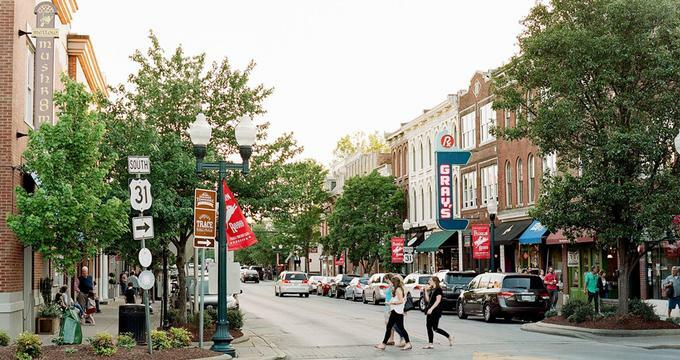 Downtown Franklin is a 16-block district filled with antique shops, fashion boutiques, art galleries, historic homes, performance venues, and award-winning restaurants. The Downtown Franklin Association, a non-profit organization, manages the district, and they are tasked with preserving and promoting the attractions like the Carnton Plantation, the Carter House, the Lotz House, the McConnell House, The Red House, and the Franklin Theatre. The Downtown Franklin Association is also responsible for overseeing the area's popular festivals. The Mainstreet Brewfest, Main Street Festival, Tour of Homes and Pumpkinfest are among the yearly celebrations that residents of Franklin as well as visitors enjoy. The Lotz House Museum showcases the creativity and talent of Johann Albert Lotz, a classically trained woodworker from Germany who immigrated to Franklin in the mid 1800s. Known for his exquisite ability as a carpenter and piano maker, Lotz converted his home into a showroom for his most prized creations. He also used his skills to create beautiful furniture that still stands in the home today. In addition to the history of the Lotz family, the museum covers Civil War events in and around Franklin. The museum is open from 9 AM to 5 PM six days a week for tours. Tours are also available on Sundays, but they must be scheduled in advance. Admission is free for children under the age of six. The Carnton Plantation dates back to 1826, and Nashville mayor Randal McGavock built the sprawling home. The home has a rich history because of its proximity to the site of the Battle of Franklin, a five-hour fight that ended with nearly 10,000 men being killed, injured, or missing. The Carnton Plantation became the largest field hospital for Confederate troops in the area. At one point, four Confederate generals were laid down on the back porch of the home. Their bloodstains are visible on the front porch to this day. Additionally, 1,500 Confederate soldiers are buried in a cemetery that sits adjacent to the home. Today, visitors can take an hour-long guided tour of the Carnton Plantation, the grounds, and its outbuildings. Some tours stop by the Carter Home, another historical house that sits about a mile away from the Carnton Plantation. In 2002, eight local farmers who made it their mission to preserve Tennessee's rich farmlands established the Franklin Farmers Market. 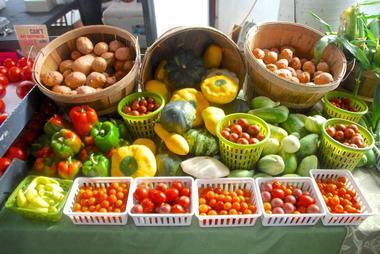 The market now sells produce and goods from nearly 80 farmers in and around Franklin. Thousands of locals and visitors frequent the year-round market. Aside from farm-fresh produce, meats, and eggs, vendors sell baked goods and handmade pieces of pottery, furniture, and jewelry. The Franklin Farmers Market also runs a large volunteer program that organizes special events and festivals throughout the year. The market is open to the public every Saturday from 8 AM to 1 PM. Franklin on Foot is a local company that provides walking tours to Franklin's most important historical sites. Founded in 2003, Franklin on Foot organizes multiple types of tours that are geared toward specific interests. Ghost tours, history tours, Civil War tours, crime tours, cemetery tours, and food tours are among a few of the special trips that the company arranges. Families can also sign up for children's tours, and private tours are available upon request. Franklin on Foot also hosts free, fun, and educational in-classroom programs for local elementary schools. Lastly, students can join a field trip under the direction of Franklin on Foot tour guides. 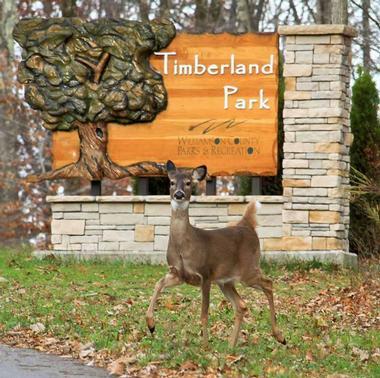 Timberland Park is a 72-acre plot of land that sits less than a mile away from Double Arch Bridge on Highway 96. The park is a popular place for birdwatchers, wildlife spotters, and hikers. There is a paved trail that winds its way through the property and ends at a scenic overlook pavilion. Other trails connect to more remote parts of Timberland Park. At the 2,000-square-foot onsite interpretive center, guests can learn about the history and purpose of Timberland Park. The park is also pet-friendly; animals just need to be on a leash, and the park requires visitors to clean up after their pets. The Carter House once belonged to Fountain Branch Carter, an entrepreneur who resided in Franklin with his wife and twelve children. After the completion of his home, Fountain dabbled in farming. What began as a small growing operation transformed into a major business opportunity for the Carter family. Over the course of 20 years, the Carter farm went from covering 19 acres of land to spanning 288 acres. 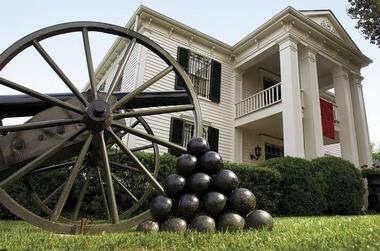 However, the farm and the Carter family home eventually ended up at the center of the Battle of Franklin. After a Federal general commandeered their house, the Carters had no choice but to hide and wait for the battle to end. Years later, in 1951, the State of Tennessee purchased the Carter home. Today guests can visit the historic home as part of a guided tour. 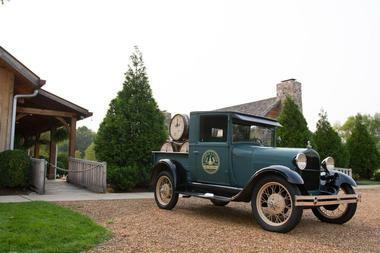 Leiper's Fork is a charming village in rural Williamstown County. Home to just 650 people, the village is featured on the National Register of Historic Places. At one time, the location of Leiper's Fork along the Natchez Trace boosted the town's population and contributed to the increase of economic activity in the area. It is now a quiet and peaceful place, and modern visitors enjoy touring the art galleries in Leiper's Fork, frequenting the town's antiques shops, dining at the local restaurants, and catching shows at the Leiper's Fork Lawnchair Theatre. Leiper's Fork puts on shows, festivals, and other special events year-round for locals and visitors to enjoy. The Factory at Franklin is a collection of stores, restaurants, and offices. 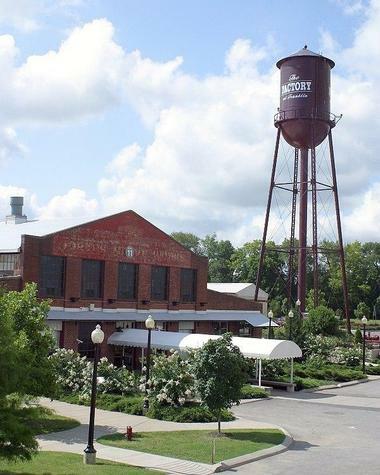 Originally constructed in 1929, the Factory has housed several prominent companies throughout its lifetime, including Dortch Stove Works, Magic Chef, and the Jamison Bedding Company. The building is listed on the National Register of Historic Places. The Factory has changed hands multiple times since 1929, but each owner has sought to preserve its special history and unique architecture. Liberty Hall, Jamison Theater, the Little Theater, and the Heritage Room are some of the historic venues guests can see at the Factory today. Gallery 202 is an art gallery located in downtown Franklin. It is housed in Clouston Hall, a Federal-style home that was built in 1821. The cozy house was built as a “town home” for the Clouston family to host parties and political gatherings. At least three U.S. presidents visited Clouston Hall for get-togethers with friends and colleagues. Clouston Hall was also used as a hospital for the Missouri Regiment during the Battle of Franklin. Today, Clouston Hall is solely dedicated to Gallery 202, which contains paintings, antiques, glassware, jewelry, pottery, and sculptures of local artisans. At any given time, the gallery showcases work from more than 20 talented artists. 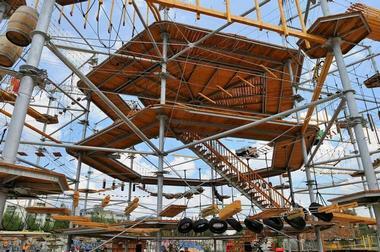 The SOAR Adventure Tower is a unique structure with four levels and more than 100 climbing elements. Each level of the tower contains several obstacles that require concentration and skill to overcome. Small kids can play at the base of the tower, which offers plenty of room for parents to help kids enjoy the fun games and obstacles there. Middle Tennessee Hot Air Adventures is a family-run business that sits just outside of Nashville. 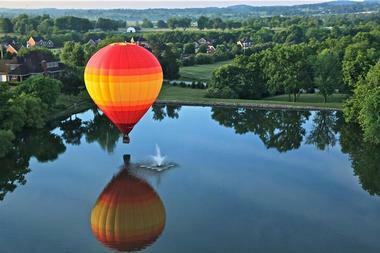 The company offers guided hot air balloon tours over Franklin, Nashville, and the tranquil hills of Middle Tennessee. Two trips are available each day. Guests are able to enjoy dramatic sunrises on morning trips, and beautiful sunsets are commonplace on evening rides. Middle Tennessee Hot Air Adventures serves guests of all ages during its flying season, which lasts from April to November. It is possible to book flights in the winter; but availability is limited and trips must be booked in advance. Noble Springs Dairy is a goat dairy and creamery located six miles outside of downtown Franklin. Licensed since 2009, the dairy is situated on a beautiful swath of protected land that includes several valleys, springs, and rolling hills. The farm produces a variety of goat products. 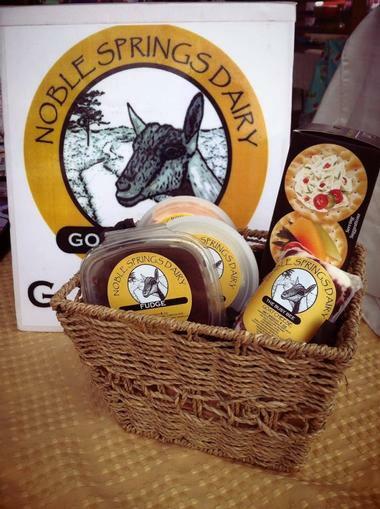 Goat cheese, goat milk, goat milk yogurt, and goat milk soap from Noble Springs Dairy are available at retail shops throughout the Nashville area. The dairy also offers educational tours for visitors of all ages on weekends throughout the summer. The tour is centered on the goat cheese-making process, but visitors also get to meet the various animals that call Noble Springs Dairy home. 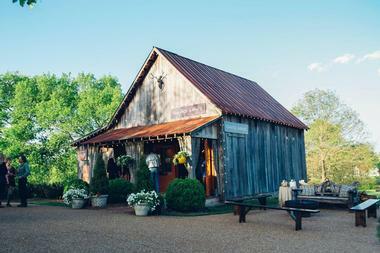 Situated in Leiper's Fork, the David Arms Gallery is tucked inside a quaint historic barn. The beautifully decorated space contains numerous pieces of art by David Arms, a local who spent most of his youth surrounded by the Smoky Mountains of East Tennessee. After high school he moved to Nashville, where he made a name for himself as an event designer. He uncovered his love of painting shortly after meeting his wife. At his barn gallery, visitors can view David Arms' still life paintings and learn more about his career as an artist. Tours are available seven days a week. Since 2015, for two days each September Franklin, Tennessee, comes alive with art and music. Held at historic Harlinsdale Farm at Franklin's Park, Pilgrimage is a music festival that brings together some of the best local and national artists, great regional food and drinks, and a fantastic festive atmosphere that attracts thousands from all over Tennessee and other states. The festival is the brain child of Franklin resident musician Kevin Griffin, who fell in love with Harlinsdale Farm’s scenic beauty, rolling hills, and natural amphitheater. He saw it as a perfect venue for a music festival, a cultural event that will do justice to the area’s incredible beauty. Since then, the festival has hosted such great names as Lionel Richie, Chris Stapleton, Jack White, and many others. The diverse lineup includes rock & roll, alt-country, Americana, bluegrass, indie, jazz, gospel, pop, and blues. 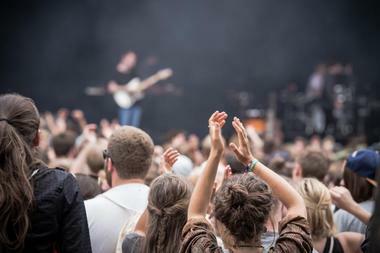 The festival has grown in the first three years to six stages and more than 60 musicians. For tickets, visit pilgrimagefestival.com/tickets. The Franklin Antique Mall is home to an extensive collection of furniture, accessories, clothing, memorabilia, and collectibles. The mall is a 12,000 square-foot facility that was once a flourmill and an icehouse. Run by Amanda Pitts, a local who grew up with a deep love for unique pieces of art as well as American history, the Franklin Antique Mall houses finds from more than 65 antiques dealers and collectors. The mall has drawn thousands of tourists and shoppers since it was opened in 1980. It is open seven days a week. The Shops at McEwen are an assortment of boutiques, cafes, and offices in downtown Franklin. The mall contains several high-end franchises such as Lululemon, Pei Wei, Mountain High Outfitters, and Pure Barre. 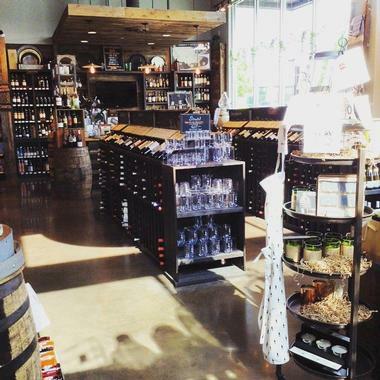 There is also a Whole Foods grocer, a custom lingerie/swimsuit store, and a specialty wine/spirits shop. Legacy Chiropractic, Babe Beauty Bar, Title Boxing Club, and Uncle Classic Barbershop are some of the other unique shops at the complex. The Shops at McEwen was established in 2012 and continues to attract an eclectic mix of high-end stores and well-known franchises. Forrest Crossing Golf Course is an expansive championship course designed by Gary Roger Baird. It is renowned as one of Nashville's toughest golf courses, and the tranquil Harpeth River encircles part of the 18-hole course. A practice facility with 20 individual stations is also located on the property. Golfers of all ages can sign up for private lessons and group trainings with PGA professional Scott Pierce. Forrest Crossing Golf Course also boasts a beautiful outdoor meeting area that is suitable for weddings, corporate events, parties, and more. Lastly, there is plenty of space at the facility for privately hosted tournaments. Winstead Hill Park is a 61-acre area located south of downtown Franklin. Like many attractions in the city, the park is steeped in rich Civil War history. The peaceful wooded area was once a gathering place for Confederate troops under the command of General Hood. Hood's soldiers were members of the Army of Tennessee, a group of men who fought in the 1864 Battle of Franklin. An overlook at Winstead Hill Park contains an informative battle map as well as a memorial to the Confederate generals who died in combat. Winstead Hill Park also has a short nature trail, restrooms, and areas for wildlife and bird watching. Connors Steak and Seafood is a gourmet Tennessee-based steakhouse offering several locations throughout the state and the American Southeast, including a location with Franklin's CoolSprings Galleria. The chain, which was originally founded in 2004 in Knoxville, has been named as Tennessee's best steakhouse by FourSquare and has been awarded a three-diamond rating from AAA for its high-quality menu options and dining experience. 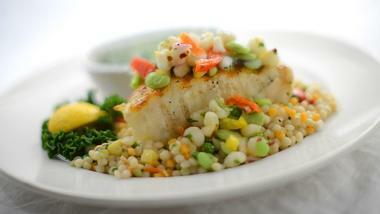 Fine prime steaks and chops are served up at lunch and dinner, along with Southern-influenced fresh seafood entrees such as shrimp and grits, blue lump crab cakes, and Cajun-style red grouper. Delicious sandwich and burger options include Philly-style cheesesteaks and reubens, while poultry and pasta dishes focus on comforting favorites such as chicken parmesan and basil cream pasta. An extensive wine and cocktail menu has also been acclaimed by publications such as Wine Spectator. 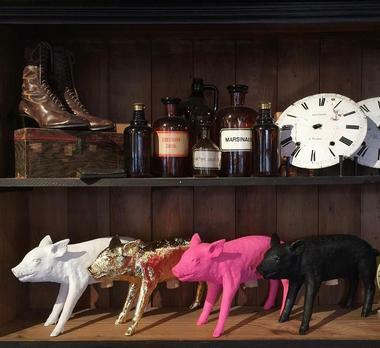 White's Mercantile is an artisan general store in Franklin, owned and operated by Holly Williams, the daughter of acclaimed country music star Hank Williams, Jr. The store, which was originally opened to the public in 2013 in Nashville, also offers locations in Wilson and Leiper's Fork today. 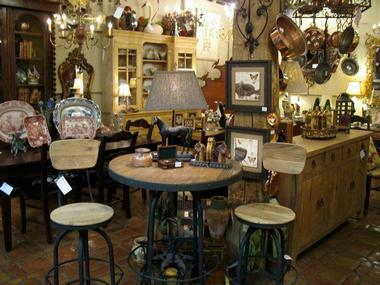 Exquisitely cultivated collections of merchandise have been acclaimed by celebrities such as Gwyneth Paltrow, with many items hand-selected by Williams during her country music touring. Bath and kitchen items are a focus, including artisan cutting boards, locally-produced soaps, and coffee table books. A wide variety of fashion accessories are also sold, along with upscale vintage clothing items. 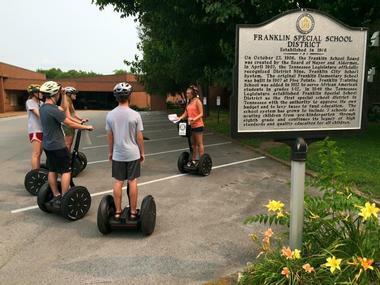 With Franklin Segway Tours, visitors experience the best that Franklin has to offer on a compact, self-driven Segway. With a max speed of 12.5 miles per hour, Segways are a safe and fun way to see the city. Tour participants attend a short training session prior to their tour to learn the specifics of operating a Segway. The company's guided tours include stops at local Civil War battlefields and historic buildings in downtown Franklin, and riders also get to cruise along a scenic riverside pathway in a secluded park. Following the tour, visitors are eligible to rent Segways from the company at any time. Creekside Riding Academy and Stables is a full-service equestrian facility in Franklin. The academy offers one-on-one instruction, group lessons, and hands-on courses where students learn basic information about horse grooming, horse handling, and riding equipment. 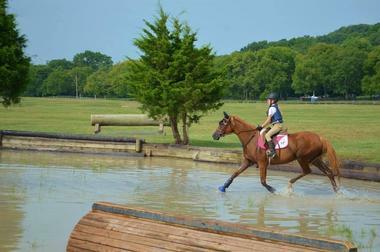 Creekside Riding Academy offers instruction in dressage, cross-country, and stadium jumping. The facility also hosts summer camps. These kid-friendly camps give children the chance to safely interact with horses while learning all about horseback riding. The camps also include arts and crafts, a scavenger hunt, and other fun activities. Lastly, Creekside Riding Academy has rental spaces for parties and special events. 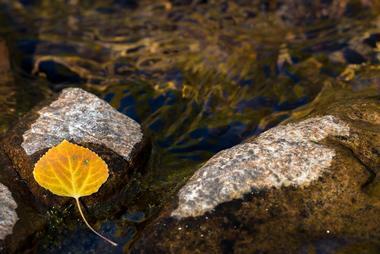 Franklin has a number of beautiful and peaceful public parks. 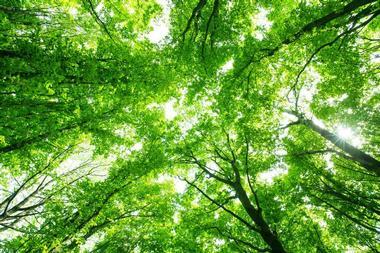 Fort Granger Park is a 14.5-acre park with a secluded walking trail that overlooks the south part of Franklin. Civil War-era trenches surround the park’s perimeter. At Assault on the Cotton Gin Historic Park, visitors can view a small monument erected to commemorate this important event from the Battle of Franklin. The Park at Harlinsdale Farm is one of the largest parks in Franklin. The farm is renowned for having once being home to Midnight Sun, a prized Tennessee Walking Horse whose fame is unparalleled in Tennessee history. There is also a three-acre pond and a walking/jogging track at Harlinsdale Farm. Aspen Grove, the last of Franklin's main parks, has a paved trail that winds alongside Spencer Creek. There is a small playground there for children.